Give the ultimate Christmas gift to your loved ones with the best plans ever from Smart Bro! 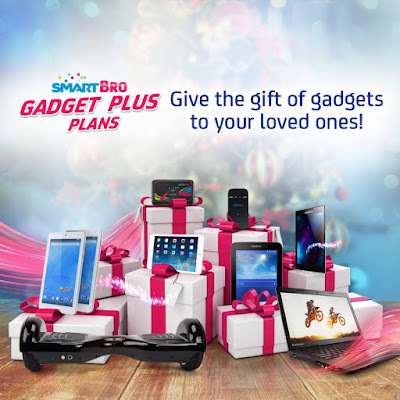 Get a Lenovo Tab 2 A730, two units of Acer Iconia One 7, an iPad Mini 2, or a hoverboard plus data allowance all under 999. All these come with 1.1GB for iflix, Fox, and Spinnr.